I can only imagine how scary it might have been to be enveloped in total darkness as the cocoon wraps itself around the caterpillar’s entire body. The caterpillar would just lay there – helpless and wishing for a life outside – as seconds turn into minutes, minutes into hours, and hours into days. The helpless waiting would be such an agony death would have been a welcome respite. And then, just when utter desolation takes over, the now-butterfly caterpillar emerges from the cocoon, all colorful and beautiful. Not only is it prettier, it can fly too! And as it flutters its wings then flits from one flower to the next, it looks at the world in wonder, and with new-found appreciation for the darkness that paved the way to its transformation. Life’s just the same. Darkness is bound to come, and we either curse it, or live through and learn from it. Photo taken in Siquijor’s Butterfly Garden. Contrast edited via Snapseed. Border courtesy of Photo Grid. Lights/Mask added using PicsArt. Text courtesy of Phonto. This entry was posted in Snapshots, Writings and tagged Butterflies, Butterfly Quote, Quotes, Siquijor on March 16, 2015 by milai. Sometimes, words are not enough to describe the beauty of God’s creation. This is what’s on my mind as I’m working on this post. Photo taken at Paliton Beach in Siquijor. 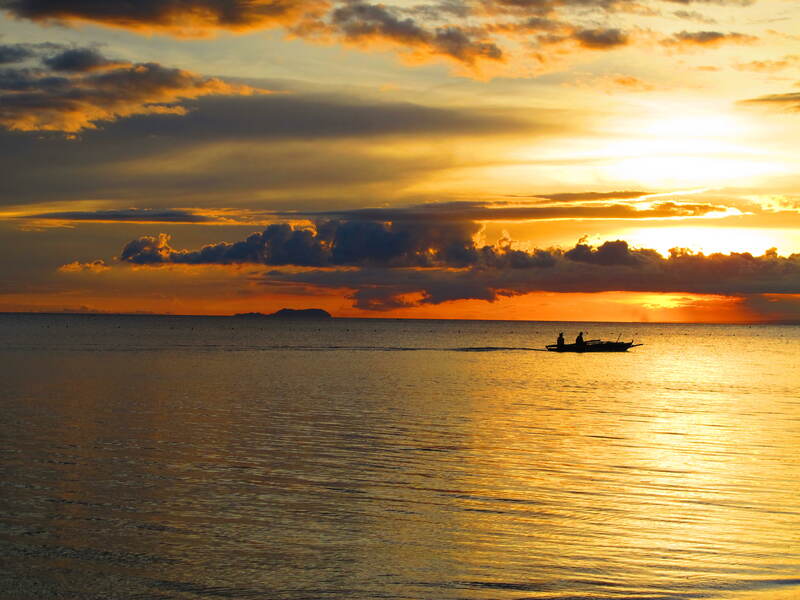 This entry was posted in Snapshots and tagged Beach, Paliton Beach, Photography, Siquijor, Sunset on January 24, 2013 by milai.